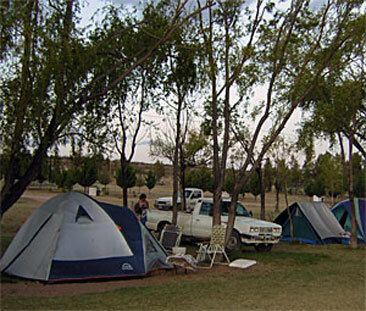 Camping: Tips for installing the tent - Camping en la Patagonia, Argentina. Install a permanent camp is a task that will define the fate of your stay, since the choice of location depends on the comfort, safety, panoramic view, the necessary isolation and protection from the elements. Once in the target area the camp must be installed on the base of three essential elements: water, wood and flat space. Continuous use that is given to water for drinking, washing or cooking, requires the proximity of the source that provides it: a stream, river or lake. Given the terrain features and the likely changes in water level, you should consider that the land get flooded. It is common that the persistence of a strong wind pushes the flow towards the coast, or ice or rain in the upper course cause sudden grows. Also, an excessive approach to water or humidity usually means, in cold climates, resulting in greater risk. The wood is used not only as fuel but also to improvise some structures, such as countertops, shelves, studs, wall of wind, and as many uses as the skill and imagination allow. The cleaning and horizontal ground complete the installation work. Machetes, axes and shovels are used to match, cut or clean stumps and rocks in the field. Once achieved the installation area, it is important to analyze the orientation of the sun and wind. The tall grass are usually vermin shelters, a tour around will allow to investigate the presence of anthills and nests of bees or wasps or any insect. A place with mud means almost certain mosquitoes. The orientation of the tent should be allowed to receive morning sun, the position in shaded area will look to the north or northeast of the tree. You should sought shelter from the wind and not forgetting a good air circulation. The entrance of the tent should look in the direction opposite to the prevailing winds. The floor will be perfectly straight and, if you carry studs, they will be supported by container caps or any hard surface that pressure expires the floor. A tarpaulin or plastic sheeting under the tent kept the floor dry, eaves or front sheds will always have the enough tilt to drain the water, the tent should not have any plan allowing for the accumulation of water. The interior cleaning is always guaranteed by entering barefoot and not entering the tent with wet clothes. The wetsuit that should always accompany the camper must be left out. Upon returning, before disarming the tent, the interior must be cleaned. Then it is done the same with the outside, the stakes are cleaned, the tent is flashed and fold neatly. If the trouble or bad weather do not allow these tasks they should be performed within 24 hours following, since otherwise it would form fungi, with the consequent deterioration of the material. Camping: nature holiday 2Camping in Patagonia. Pure nature holiday. Backpacking in Patagonia: by finger and on your own You can go backpacking in Patagonia and enjoy it up close.